Samadhi (sa-mah-dee) means "The inexpressible pure bliss of union with the Divine". 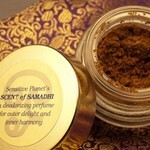 Scent of Samadhi is an ancient, all-natural, herbal perfume powder used by the yogis of South India. Ideal for yoga, meditation, body work & simple joys in life. Ingredients: All natural ingredients which include red sandalwood, clove oil, tulsi and a secret blend of proprietary herbs. 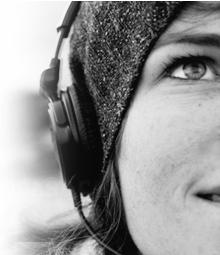 There are no colors, chemicals or animal products in Scent of Samadhi . Directions: Take a tiny pinch of Scent of Samadhi and place in the center of one palm. Rub both your palms together. Bring both your palms to your nose and take a deep inhale. Move your palms slowly above your head. Feel your aura glow! Experience the instant uplifting magic of Scent of Samadhi ! Now, rub a tiny bit of it under your arms. Experience how this beautiful fragrance provides you with inner and outer harmony! Content: Each jar contains 5 grams of of Scent of Samadhi powder, enough to last for minimum 3 months with daily use. Packaging: Very attractive and with deep values! Each jar of Scent of Samadhi comes in a beautiful cloth pouch made from the traditional South Indian sari material. These pouches are sewn in India as part of a project to provide a means of livelihood for women from broken homes and the physically challenged individuals. It is an effective deodorant that works along with the body’s natural aroma to create a fragrance of inspiration, bliss, optimism and calm. This mood uplifting intoxicating natural fragrance adapts to your own body chemistry. Specially unique to YOU! When you perspire, Scent of Samadhi transforms your own body aroma to a divine fragrance. Works with your body chemistry. This fragrance can guide you inward, bringing a deeper clarity and focus when meditating, doing yoga or when working. Trigger your hidden sensual scent- the tantric magic. Scent of Samadhi is worn and appreciated by both women & men.